Luton Town will be at home to League One side Portsmouth in the FA Cup first round after the draw was made this evening. 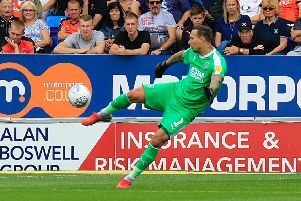 The Hatters have had a tough time of it against the south coast side recently, losing both matches last season, when Pompey were also in the fourth tier. They didn't win either contest the campaign before either, suffering defeat in both of their last two home fixtures, as Town haven't tasted victory against their opponents for seven games, since a 3-1 Division One win back in September 1995. The game is scheduled to take place over the weekend of November 3-6.